There’s no shortage of launcher apps in the Google Play store. 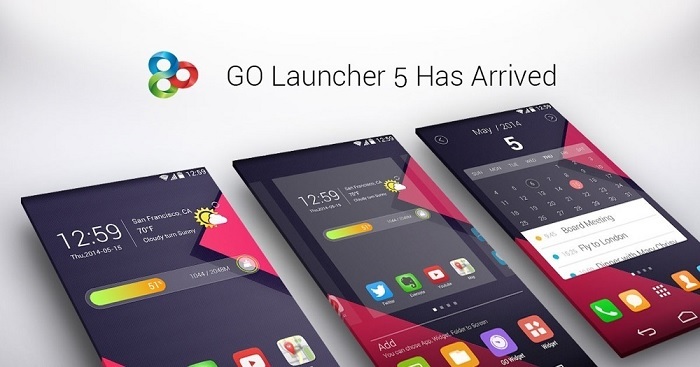 Go Launcher EX is one of the best Android launcher available in the Google Play Store. Recently, Go Launcher EX received a big update, bumping it to version 5, introducing several new features and enhancements to the app. The latest update introduces a complete new UI, which is flatter than the previous version, making it look more elegant and better. The new Go Launcher also comes with Go Panels to provide different on screen functions. It gets even better: the developer is giving away the Prime version of the app, which usually costs $5.99, for free to users for the next two days. To grab it, just go to Go Launcher Preferences and head over to the “About” page. Tap on enter activation code, and type “appsales” or “appszoom” and enjoy the Prime version for free. If you’re a regular user of Go Launcher EX, or just want to give it a go, head over to the Google Play store and grab the latest Go Launcher EX 5 for your device.